This week has been a week of learning. It is good to learn – it keeps the mind active and the brain cells firing. It keeps us young, it improves us. Some people really like learning, and go to university as mature students for extra learning (or maybe they just really like knitwear?). Some people don’t like learning, so they go the the University of Life, where they Learn More Useful Stuff Anyway. 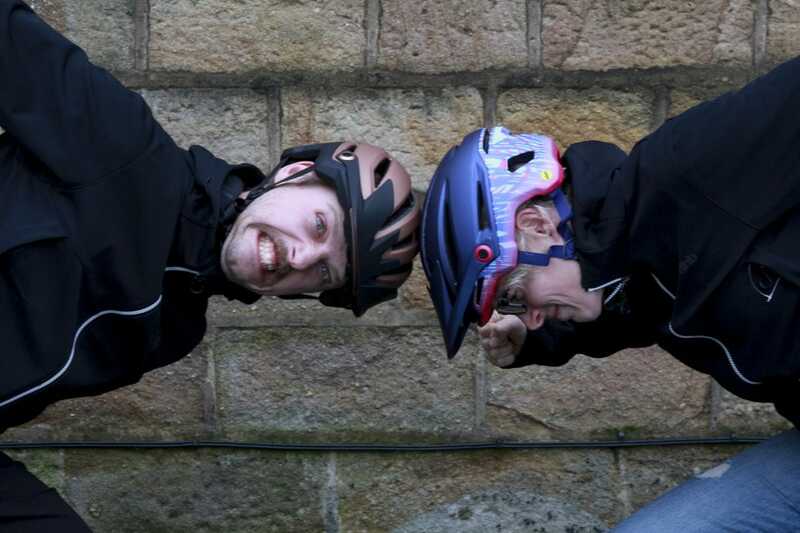 So what have we learnt this week at STW towers? Hannah cannot throw axes. Come the zombie apocalypse she should definitely choose a different weapon. 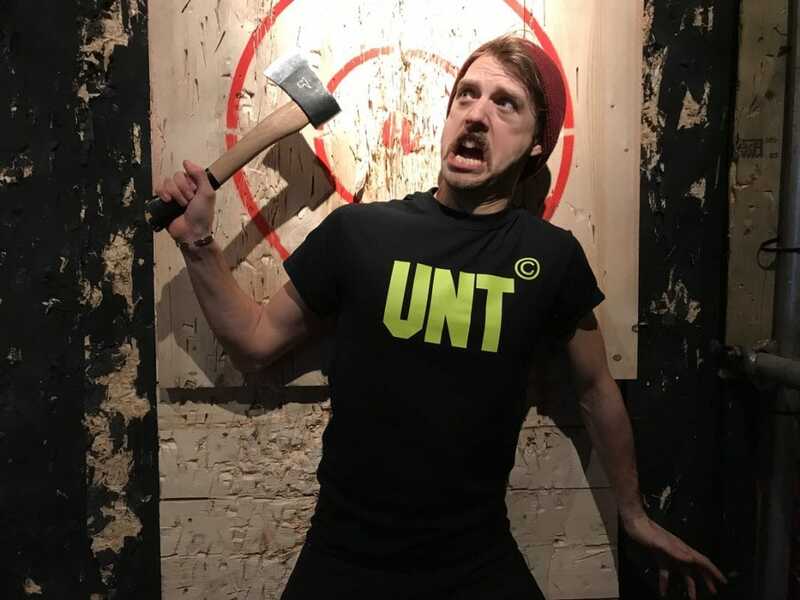 Mark can throw axes. He would be an excellent zombie survival partner, except for his inability to function without morning coffee. Wil has learnt that car doors can freeze shut, and radiators need bleeding. Amanda learnt to ask for recommendations for Todmorden hotels before booking. Rain on black ice is the slipperiest substance in the universe. The Tiffin Room in Manchester does very nice food and cocktails indeed. Christmas is nearer than we are ready to deal with. Yes, a very educational week. 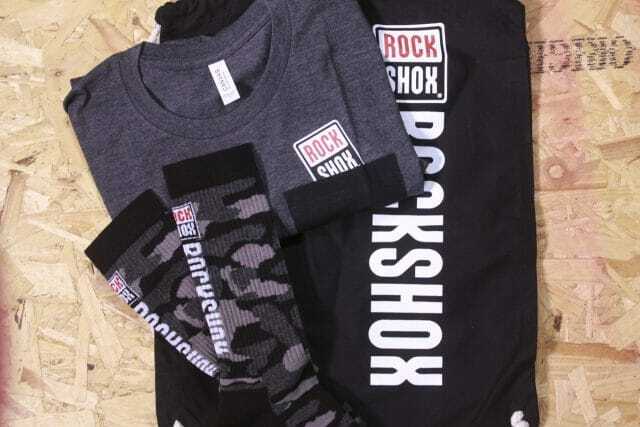 Now prepare to be educated some more, as we check out the huge collection of new product that has landed with us this week – and of course if you see anything you like you could educate your friends and relatives by sending them appropriate links. Here we go, it’s Fresh Goods Friday! Black and gold/bronze classy design. 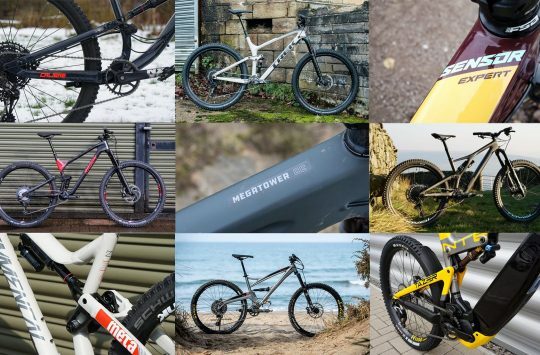 You can check out the details on this bike and others from the 2018 range here, but for those who can’t be bothered to click away or want to continue to the other delights of Fresh Goods Friday, this is Whyte’s update to their popular 900 hardtail range. The 909 sits at the top end, above the 901 and 905, and all have gone 27.5+ for this year. The 909 comes with SRAM GX Eagle, 130mm travel Fox Float Performance 34 Forks, and WTB STs i35 Rims and 2.8in Maxxis tyres. We *may* have already snuck out to play on this in the snow. Whoops of joy *may* have been heard. 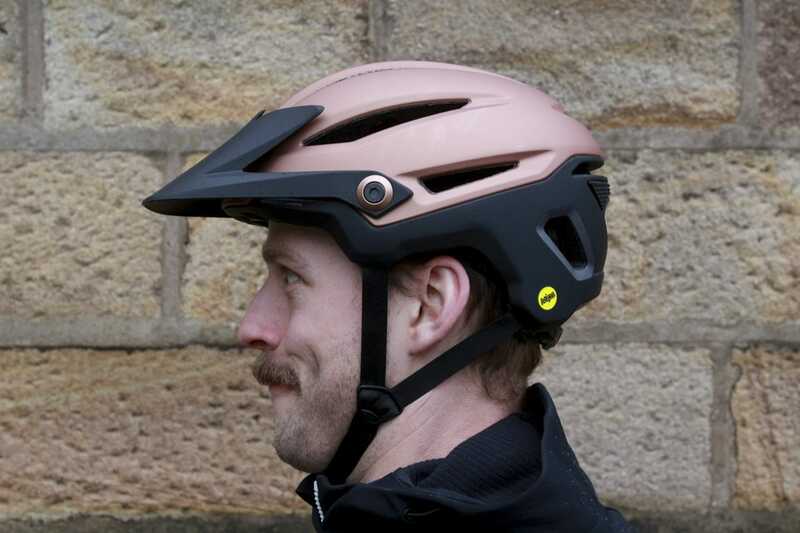 The lovely Alex from SRAM paid us a visit earlier this week to tell us about…secret plans and clever tricks. And since we can’t tell you anything else about that visit, here are some of the goodies he left us. Here we have the RockShox bag of tricks – a cotton bag (handy for our lunchtime trips to the supermarche), t-shirt and camo socks. Socks are good, because our Amanda has a severe sock shortage, and the studio temperature is such that she might actually die if she doesn’t wear socks. Toastie warm woolly socks and cosy hats. 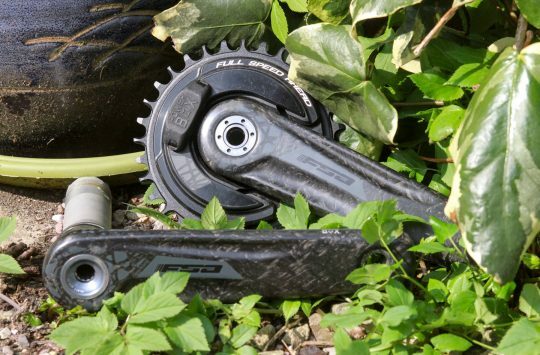 More goodies from Alex – this time SRAM branded. 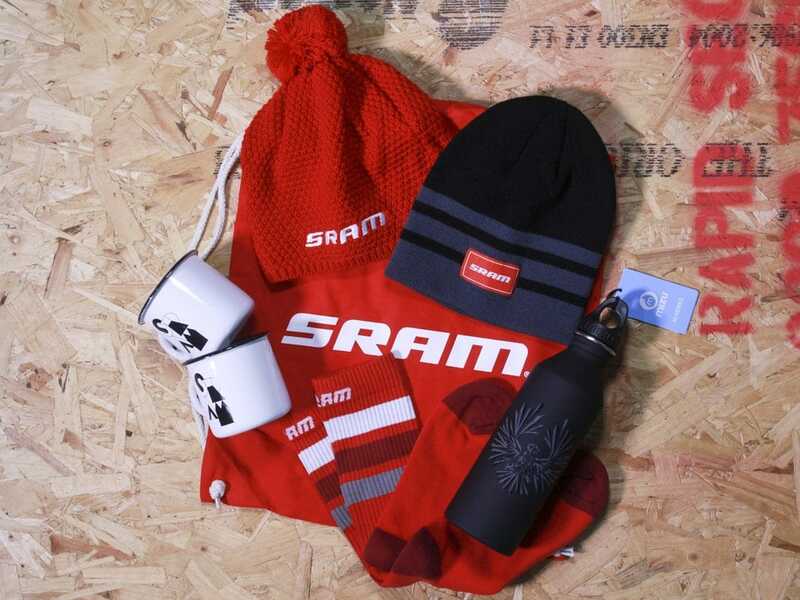 More socks for Amanda, plus a choice of two hats (in the studio, wearing both could be a wise move), plus a SRAM Eagle branded water bottle and enamel mugs. Who can hear the clonking of enamel mugs without immediately associating it with outdoor adventure? #EatCleanTrainDirty is their hashtag. Are pies clean? 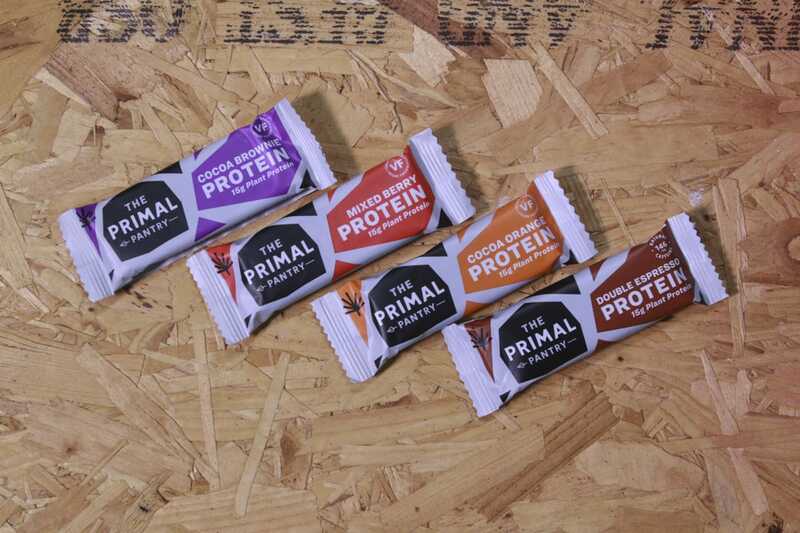 With 15g of hemp protein in every bars, these are designed to be eaten on the go during long rides. The Double Espresso flavour also contains 146mg of caffeine. It *may* have already been eaten for breakfast rather than making it into our bags for a long ride. All the Primal Pantry products are suitable for vegans, so our Amanda is keenly eyeing them up, but she’s going to have to fight gluten-free Vic for them, as they’re also gluten free. All I want for Christmas is to look like Danny Mac. 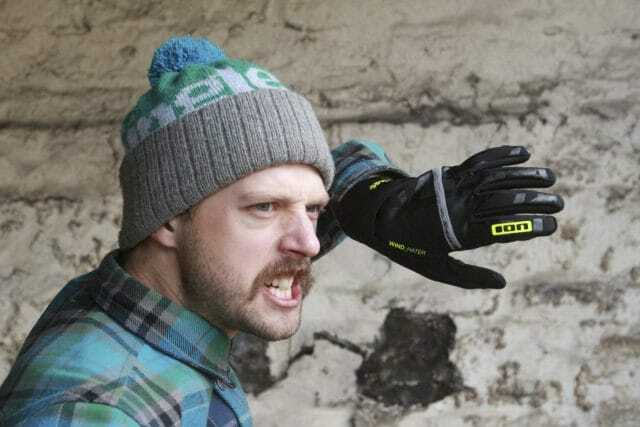 The ‘One Clan’ range celebrates Endura’s relationship with Danny MacAskill – so you can dress like him even if you can’t quite ride like him. 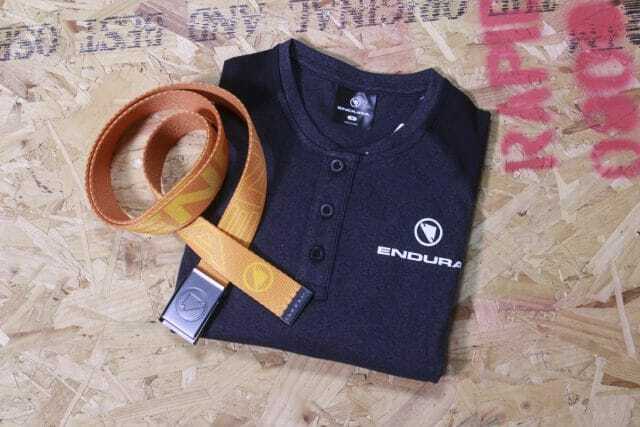 The belt has an integrated bottle opener and comes in orange, blue or black, while the Henley only comes is this two tone grey and black combo and is a cotton and polyester mix fabric. Are those supposed to be portraits of Wil? Like your stems super short? 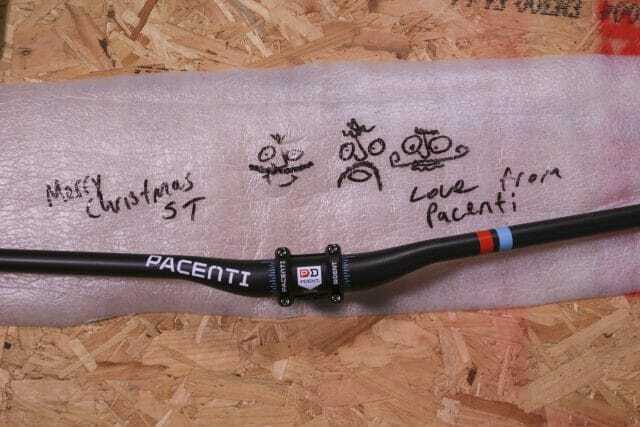 Well this new bar from Pacenti takes things a step further than even before. The dimple in the carbon bar makes it possible to go as low as a 20mm stem, effectively wrapping the bar around your steerer tube. 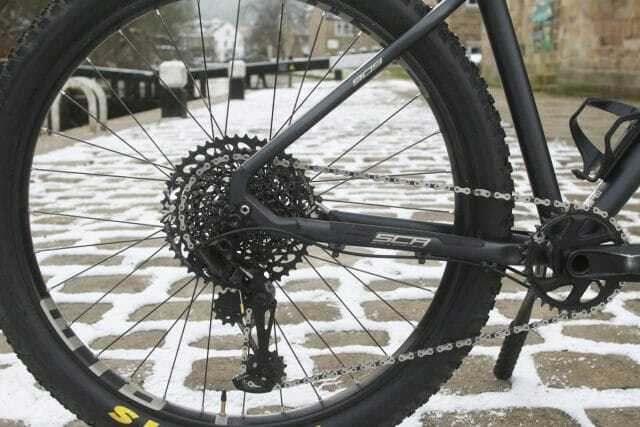 It’s claimed that because hands are brought back and closer to the steering axis,very little input is required to change lines or keep the front wheel tracking as the rider intends through rough and difficult terrain. I see faces, a robot with a big tache? 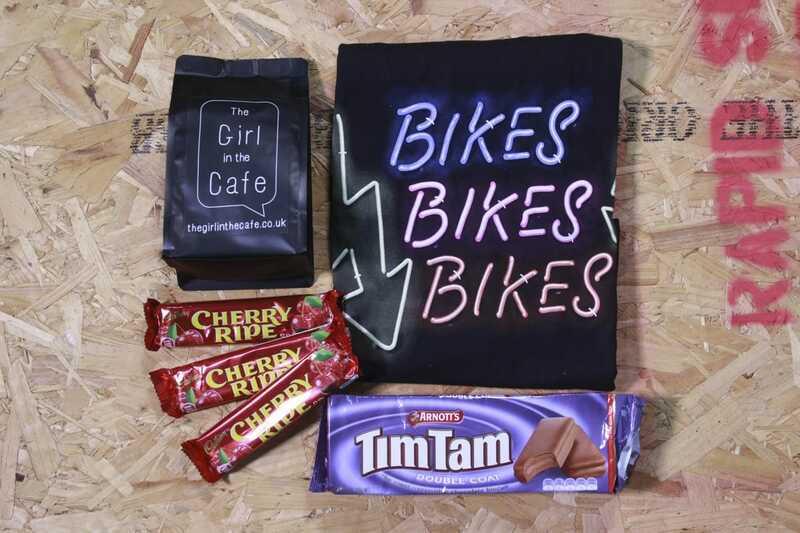 As well as selling bikes and bike related stuff (such as this Troy Lee/Soho Bikes collaboration t-shirt), Soho Bikes also does a good line in coffee and treats of the Australian variety. 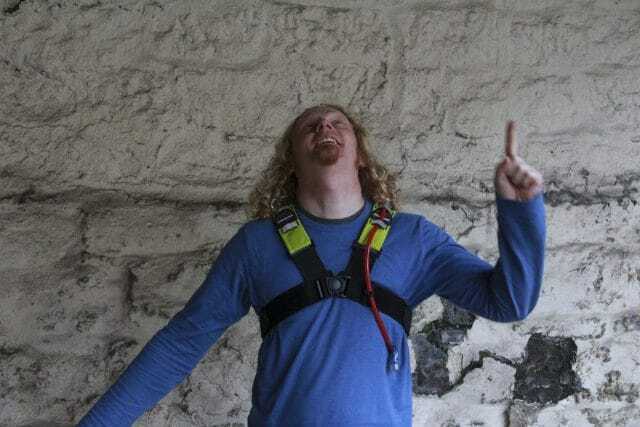 Wil assures us that Tim Tams are definitely NOT the same as Penguin Biscuits. And since this is a care package for Wil, we’ve not been allowed to nibble the Cherry Ripe bars either, so we can’t tell you what they taste like. 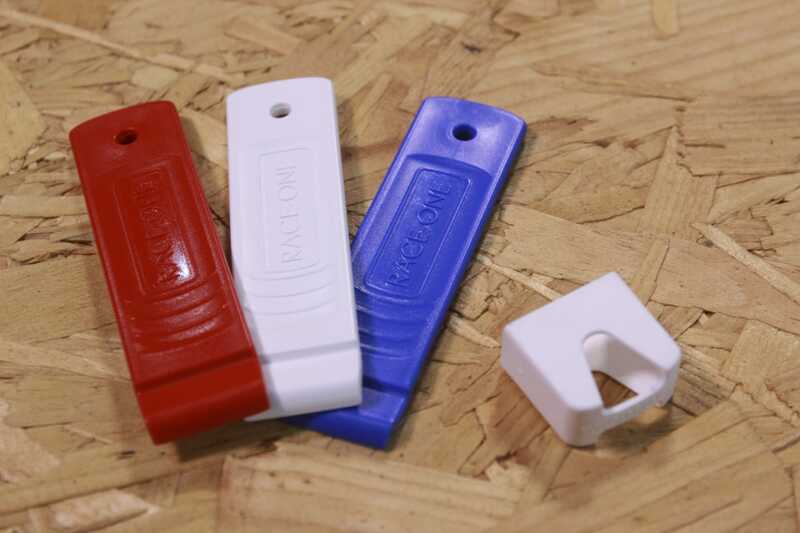 Race One tyre levers for levering off stubborn tyres in times of need. 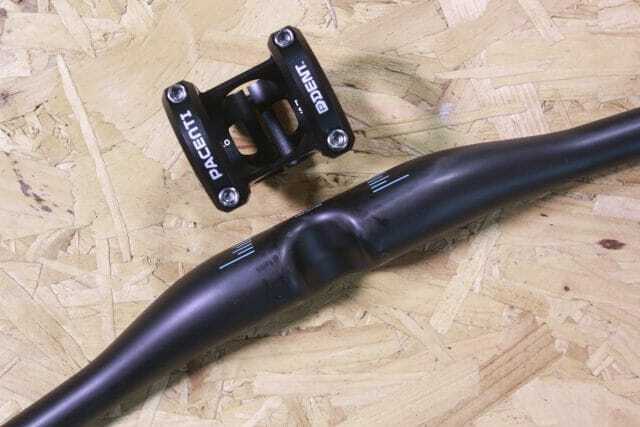 They come with a neat little holster that hugs all three levers to keep them together too. Awww. Bottle and cage options from Race One. 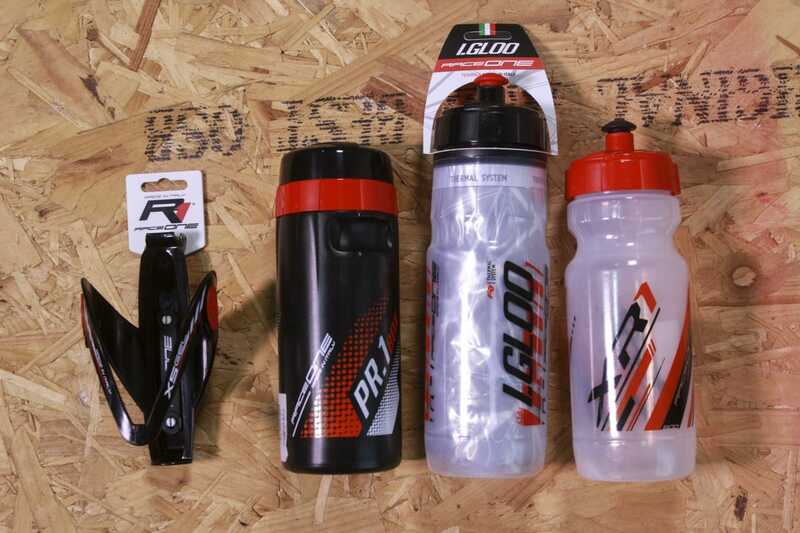 Designed to hold your bottle firmly in place, the lip in the cage fits snugly against these bottles. The top of the ToolBox has a separate small compartment to store smaller items in, while the Igloo is insulated. We like the green valves and slime! 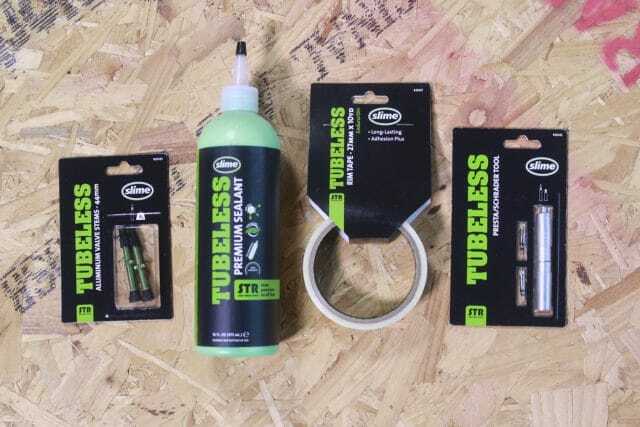 One time you might be glad to see green slime – these products will get you set up tubeless and rolling. Tape you wheels, add your valves, squirt in your sealant and get inflating…and should it all go horribly wrong you’ll look like something from Ghostbusters. Don’t forget to top up your sealant from time to time – the valve core tool will make that lots easier. 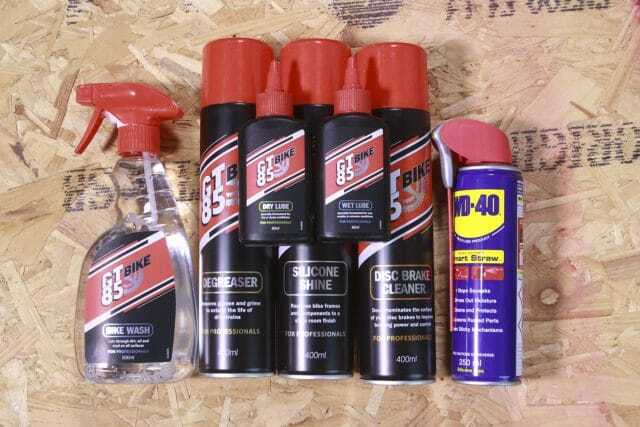 Wash your bike, degrease the really nasty bits, stop your brakes from howling, and then polish and lube it all back up again. It’s a good activity for a day when you’re too poorly to ride or just can’t face the weather, and these products here should make the job a lot easier. 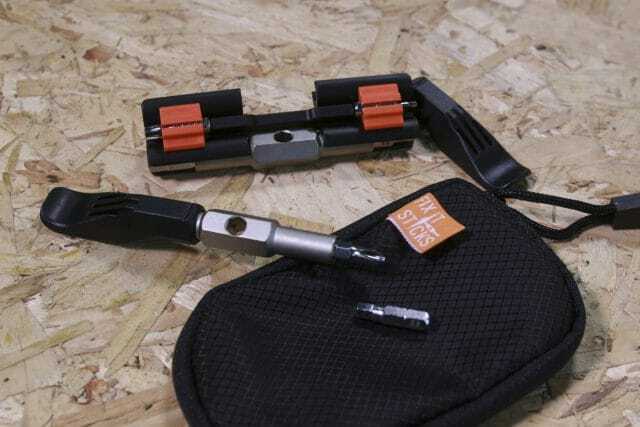 A super handy trail tool that’s easy to carry and, thanks to its cunning slot-together construction, gives more leverage with less fiddle than many multitools. Zips open for ventilation and easy putting on. These were Hannah’s Editor’s Choice last year, and so everyone now wants to see what the fuss is about. Here is Amanda modelling one of this year’s colour choices for women – there’s also a black option. And here’s Wil in the men’s version. The ankles are nicely tapered to stop them flapping into your chain, and reinforced with slightly tougher fabric. The seat is also made of a tougher fabric to give extra strength, while the rest of the pants are made of a stretch fabric with DWR coating for fending off the splashes. An unusually normal view of Wil from behind. These are windproof gloves with a nifty waterproof mitt that fits over the fingers to fend off the worst of the weather, while the neoprene cuff keeps the water from dribbling in at your wrists. 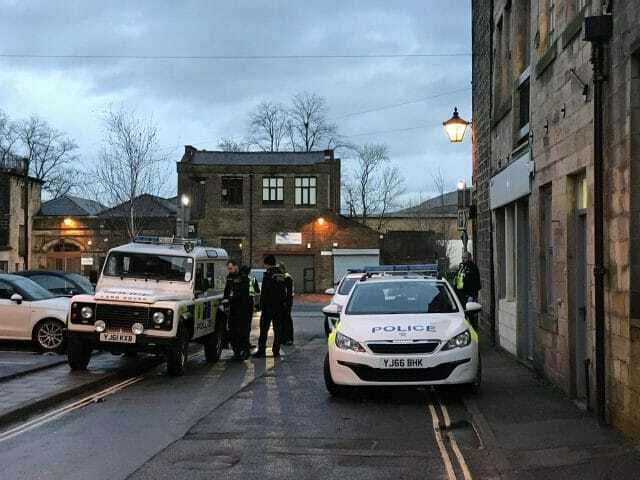 Sounds perfect for Calderdale riding then. Ye olde lumens and All Teh New Lumenz. This is a special light. The light on the right is Chipps’ old Mk 1 Joystick, which he’s just had refurbished, so it still works. Since he was given it (complete with engraving) when he moved ‘Up North’ in 2001, that’s pretty impressive. 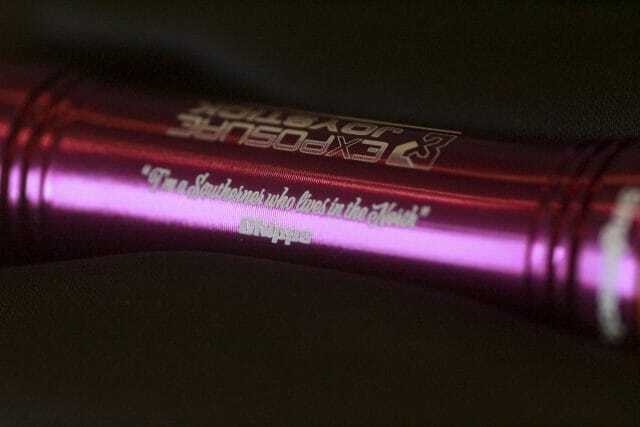 Lucky for him, when he got it back, Exposure also sent him a matching new Mk 12 version, again with engraving. Perks of the job and all that. He says ‘grarse’ and ‘barth’. He’s a southerner. 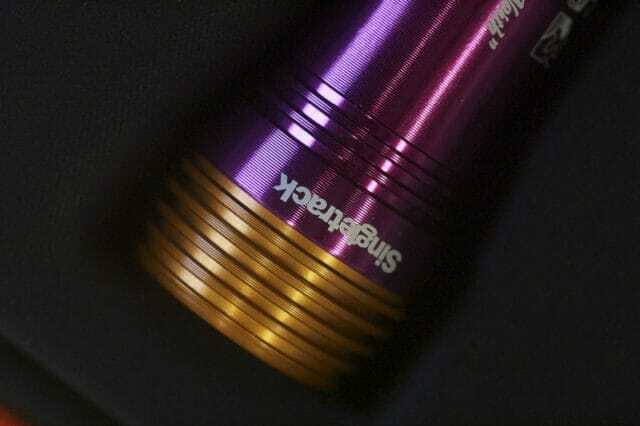 If you want a purple light (or a red or blue one) there’s a limited edition of them available now – though you won’t get the orange end, that’s specially for Chipps. This bag is very bright but still struggles for attention against Andi’s golden curls. Has Andi seen a star of wonder? 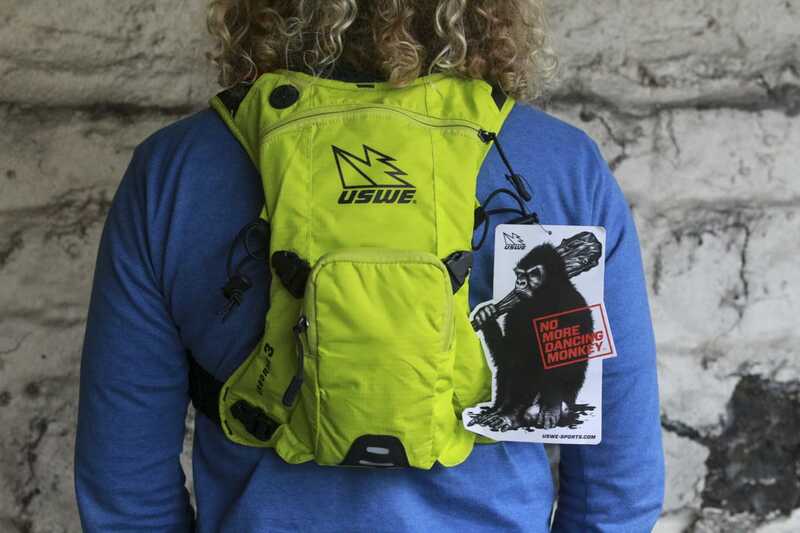 …but the same secure harness at the front to keep you pack secure. 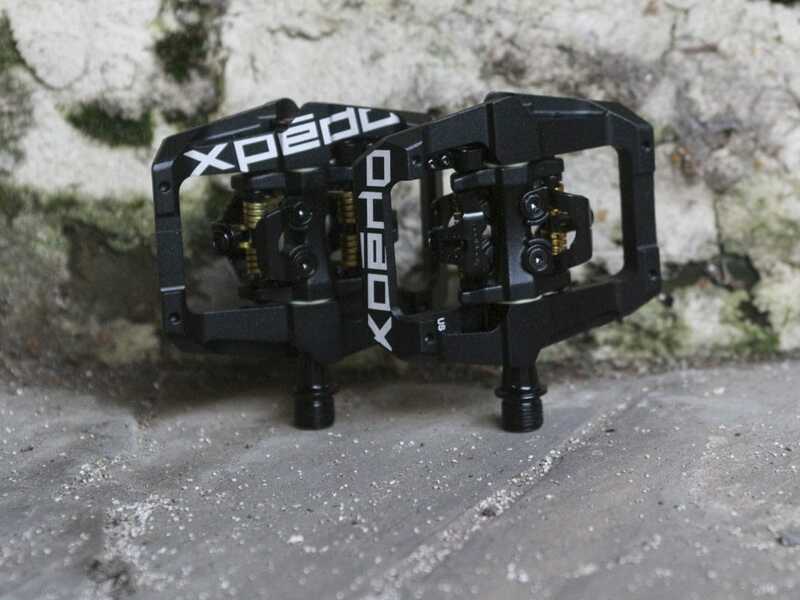 Available direct from Xpedo (we’re assuming a pronunciation of ex-ped-oh, rather than ex-peed-oh) these pedals are from the U S of A. Available in four colours, the platform is designed to allow rapid engagement in any conditions by positioning the front claw upwards. 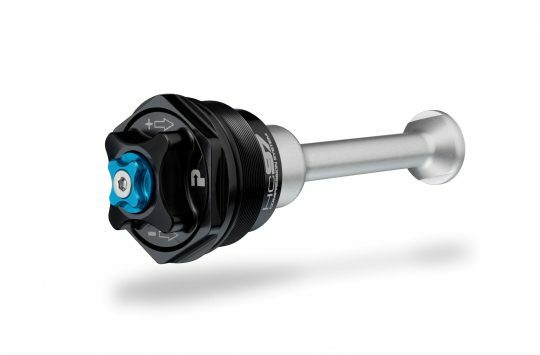 The body has adjustable pins, and there’s a slightly wider Q-factor to give plenty of clearance between your shoes and cranks. Yay! Drink beer at your desk Friday is sorted! 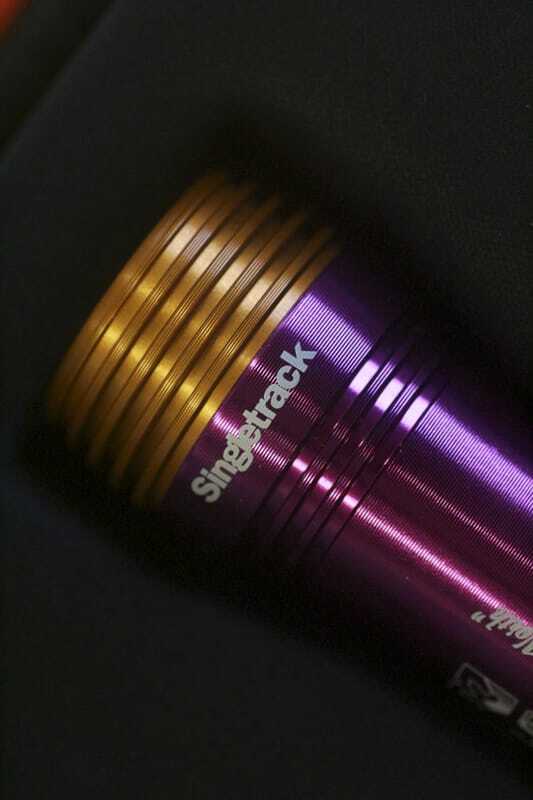 Singletrack – a 4% deep golden in colour with Super citrusy floral aromas with a massive hop mouth feel. A Flowy Ale! Drink It, Read It. 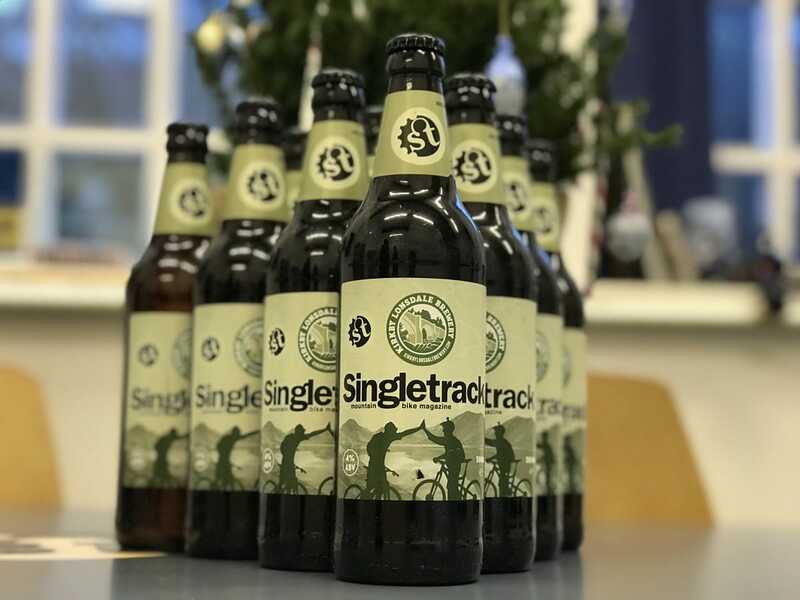 Brewed in conjunction with Singletrack Mountain Bike Magazine. Yes! That’s US! Some of you might remember these Rob Warner t-shirts from the first time around. They kind of speak for themselves really. Although some of us in the office are wondering whether it is actually a Copyright issue, or more of a Registered Trademark? Here’s Hannah attempting to look moody. 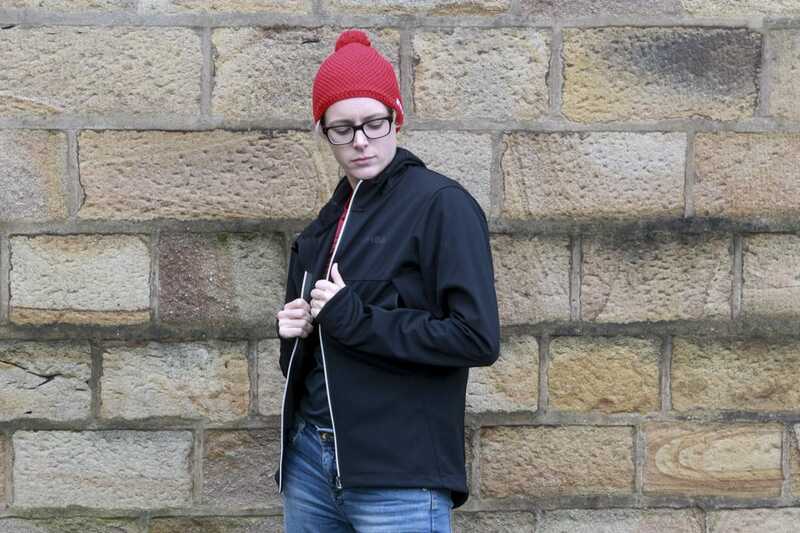 Using a softshell construction with a windproof membrane layer, the Softshell Jacket is billed as being an insulating jacket that is water-resistant and windproof. 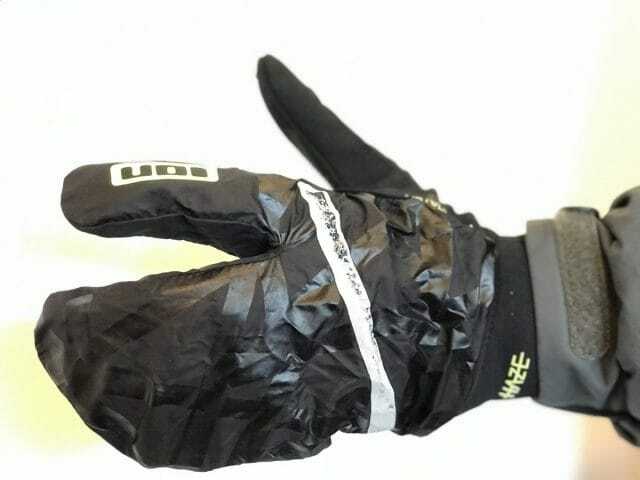 The inside face fabric is made from a thermal fleece material that feels soft on the skin, and helps to provide warmth when the temperature starts to dip. It’s actually a men’s jacket, but Hannah doesn’t mind, it’s cosy. Regretting the extra portion of curry, and that pie, and, well, breathe in Hannah! 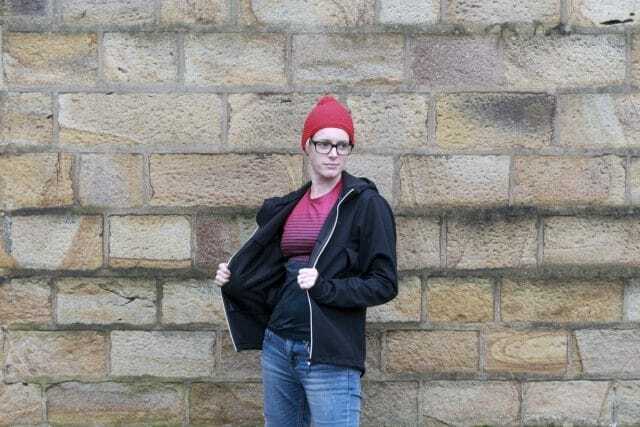 It is frankly too cold to stand around outside in a t-shirt, so here’s Hannah giving you a little peek of the dhb T-shirt she has concealed beneath the softshell. 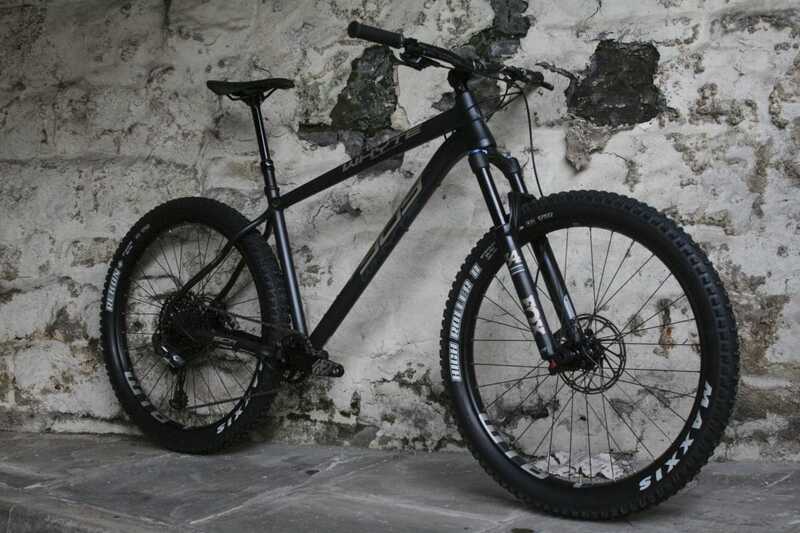 For a look at the full new range of dhb MTB kit, hop on over here. These are the lighter weight option in the dhb baggy short range, and they use a clever two-face fabric that puts the tough nylon stuff on the outside where all the scary rocks and sharp tree branches are, and that clever Polypropylene face fabric on the inside where your sweaty legs are. 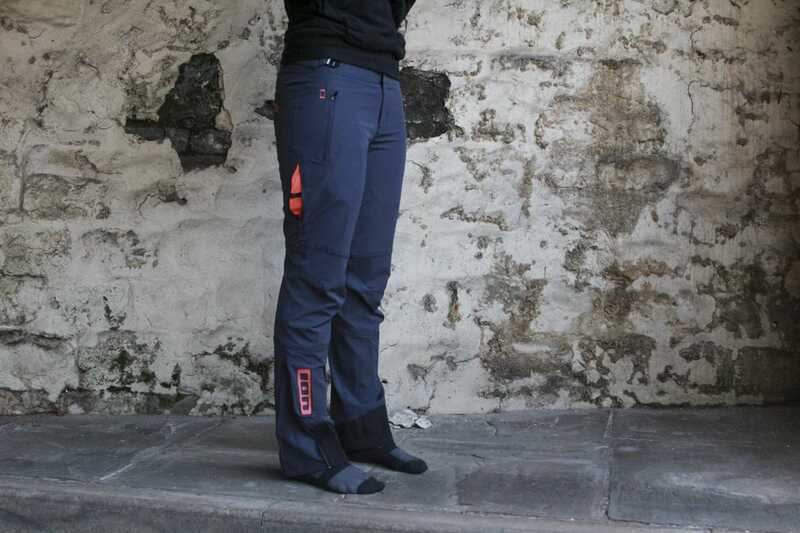 They also get a nice amount of stretch to the fabric, as well as a ribbed stretch yoke on the back of the waist. One two three four, forget your thumb war! 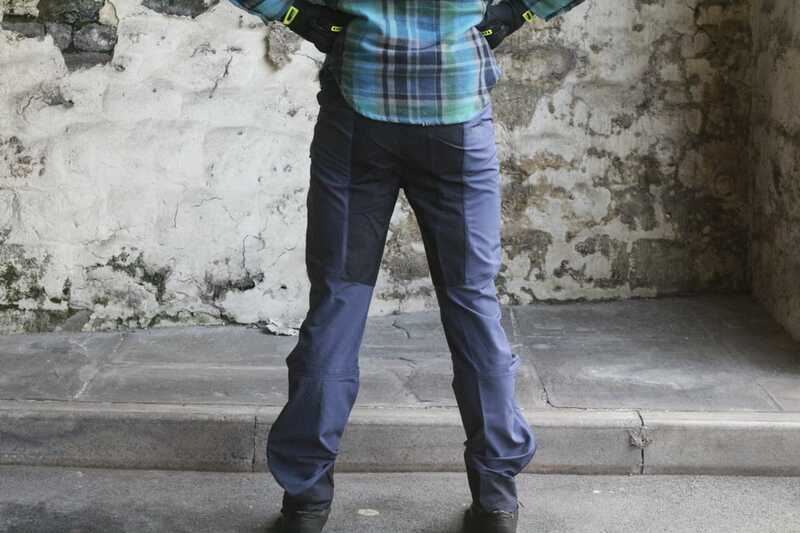 Designed to be well ventilated for long rides out on the trail, the new Sixer comes in some pretty natty colours. The blue one adorning Hannah’s head is pretty much a perfect patch for the crushed peacock feather blurple Specialized Epic bike she rode earlier this year, while that bronze has definitely caught Wil’s eye. Looks aside, it has integrated MIPs for a lower profile fit, an adjustable visor, and is goggle compatible. Did Wil just trap something? Allure. The new perfume by Wil. Wahowzers. Surely that’s some kind of new record. Is that the most products ever in Fresh Goods Friday? We’re too exhausted to count them all. We’re off for a lie down. But we’ll take our phones with us, so if you’ve got any questions, stick them in the comments section and we’ll do our best to answer them from the comfort of the office floor. That flannel Wil is wearing, where would one find an example? Real Tim Tams and Cherry Ripe. apologies for getting the police called. Where’s the Natalie Imbruglia Tim Tam video? That Orbital one is still brilliant, will make do with that. Pray tell, what size frame is the 909? @kiwijohn That’s an Alpinestars Slopestyle shirt, as featured FGF 324. No Violet Crumble? I’m out. @al2000 – ohhhh those used to be my favourite! And what I would do for a Golden Gaytime! Strewth! I need an Aussie Care package. Cherry Ripes are to die for. Yummos. All that’s needed is a packet of Twisties. Done. 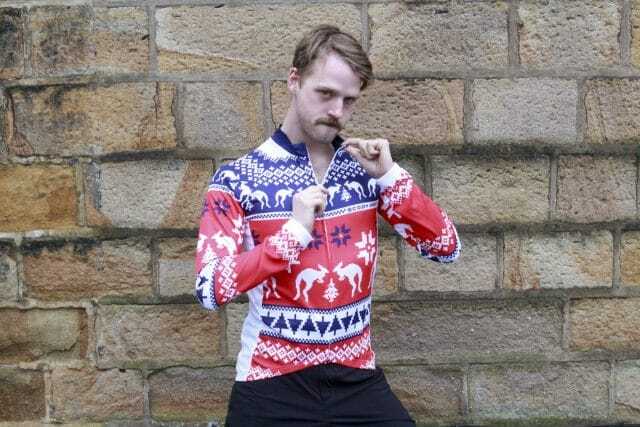 That Ugly xmas cycle jersey is a hoot too. Cherry Ripe’s are lush. They do a dark choc version too here. Tim Tam’s are a bit meh, the chocolate isn’t that nice. They put extra [something] in most chocolate here to stop it melting. I grilled a Kit Kat once. It didn’t melt. This is not right. Let me at them bottles I’ll open ’em!